As a serial “back to schooler” I was given samples & compensated for this review but the views expressed are my own. 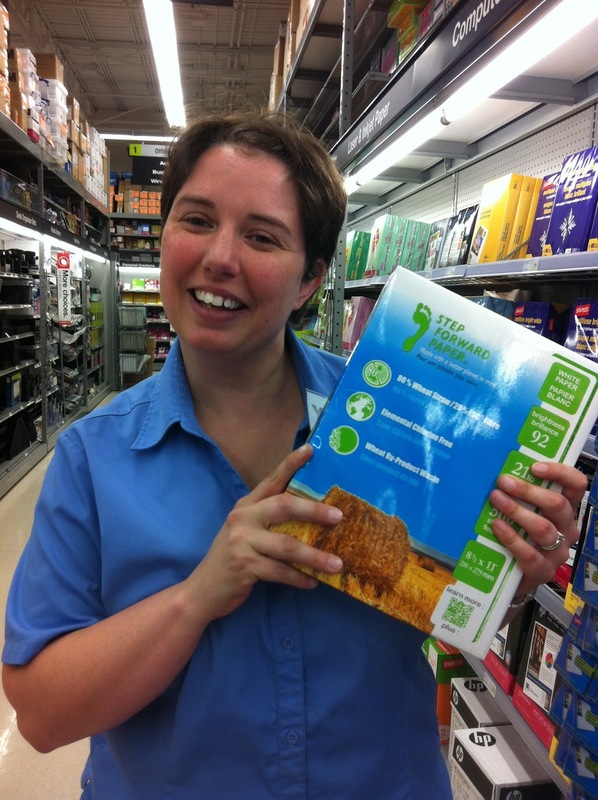 With four Guthrie’s heading back to school this fall, we looked into finding the greenest school supplies we could from Staples Canada. Staples has become our “go to” place for back to school. I have to be honest here, I actually love school supplies..no really. Some ladies go crazy for shoes, some expensive purses…but for me…colourful post it notes in thematic shapes, multi coloured Sharpies, pre sharpened pencils and rainbow themes paper clips…office supplies are my thing. Living just outside of Ottawa has it’s advantages, less traffic, more cows. However, I am very lucky to live near a large Staples store. I don’t have to drive into Farr-haven and fight the crazy suburban crowds. I walk into my store in Kemptville and they know me by name, they help me with my technical issues and consistently look the other way as my children scream around the store looking for the latest and greatest in school supplies. Our store manager is awesome, she took me on a little tour of the green back to school supplies for the 2013 season. I loved the idea of this paper being made out of wheat. 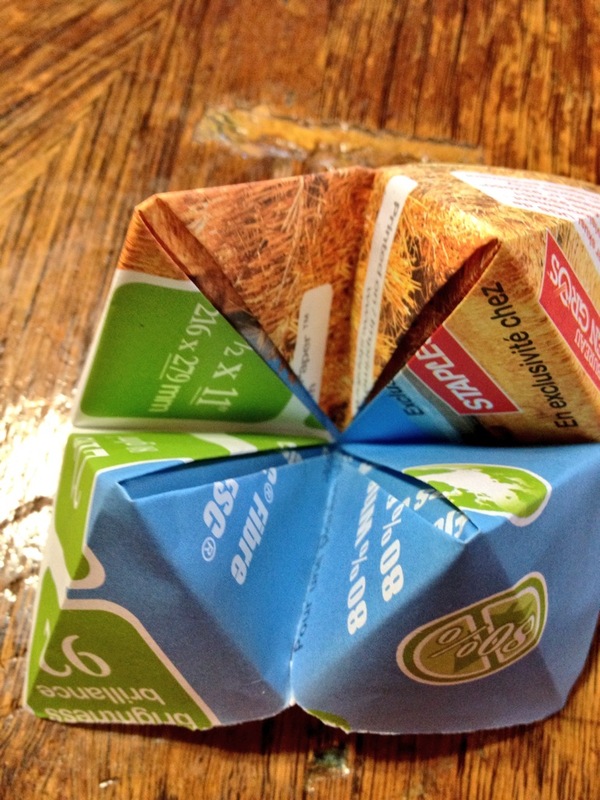 The kids and I were able to test out several samples and it performed just as well as regular paper and made colourful cootie catchers at the cottage! Next we moved on to pencils. I cannot tell you how many times I have gone to find a pencil in my home, during homework time, and not been able to find one. It is the ultimate test of my patience when I find they have been used in Beckett’s sandbox as construction material or in one of AndiePandie’s art projects. I stock up regularly and in the vein of being green this next product fits the bill. This pack of ten pencils retails for 3.99 and comes with an bonus eraser. We also burn through erasers at an alarming rate, so this bonus is a good thing for the Guthrie’s. 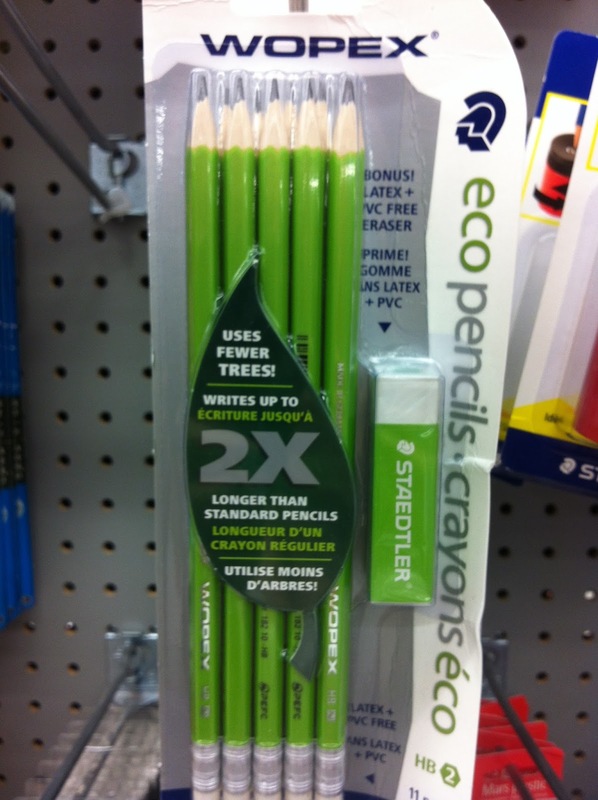 These pencils are: break-resistant; smooth-gliding lead; natural fibre material made from 70% wood and have HB lead. 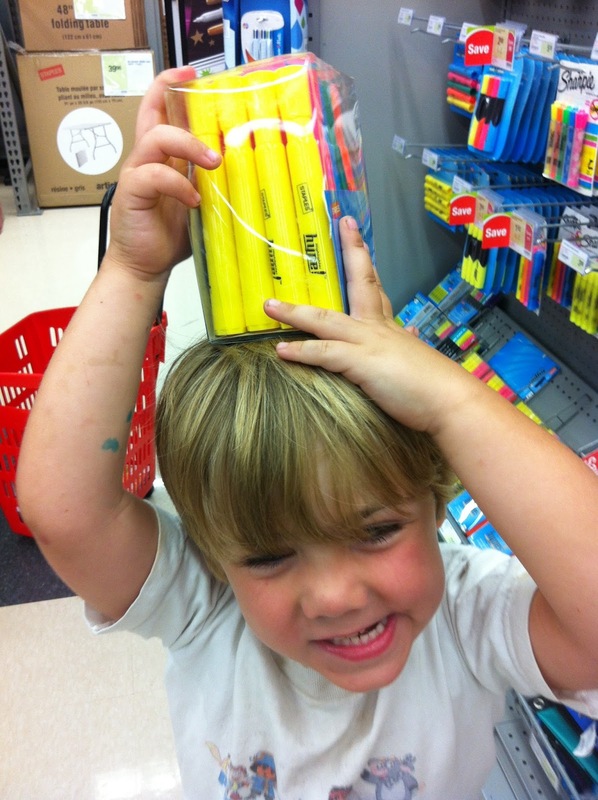 Beckett had his own idea of what he needed for school supplies…..
As soon as the manager turned around Beckett decided to pick up his favourite item in the store HIGHLIGHTERS. 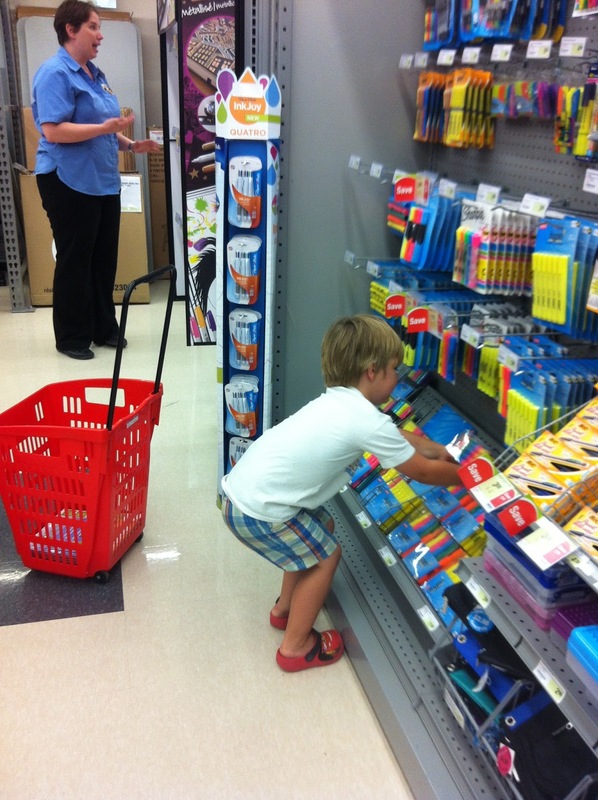 Yes, even my four year old loves school supplies. I moved into a new office this year and I need to be organized. I might be a little over organized, truth be told, so organized in fact I cannot find what I am looking for some days. 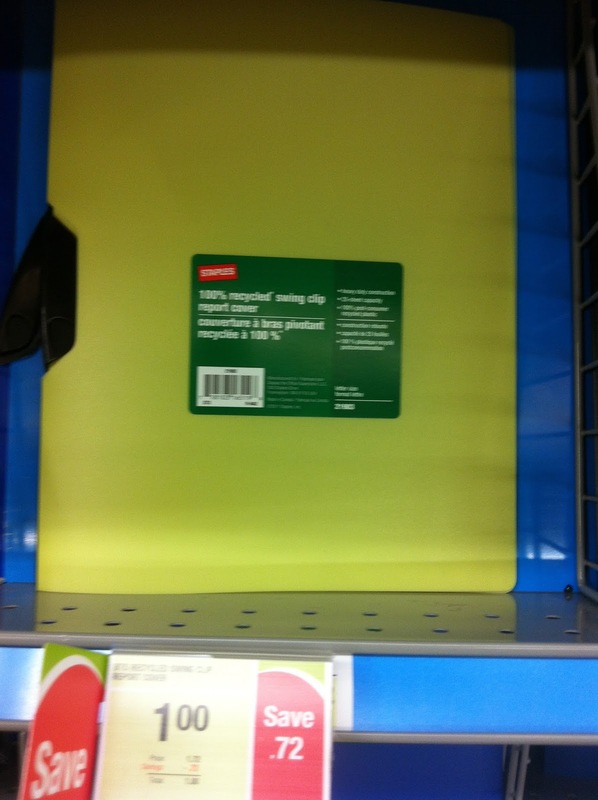 I found these Staples brand 100% recycled report covers. It is no secret I love the colour green and for $1.00 per cover I bought enough for all my mobile files for this year and maybe next year as well. If you’re interested in eco-friendly products for this school year, Staples also has a great selection of reusable food containers and lunch bags to help cut down on litter in your child’s school. Have you ever wondered how your back-to-school shopping habits measure up against the rest of Canadians? One-third of Canadians (32%) will shop for Back-to-School this year. Among shoppers, good value for the money will be the largest determining factor in where they shop (81%). I must tell you that Staples Canada also has in store specials (this week it is post it notes), it is a good idea to check back each week especially during the Staples Canada Teacher Appreciation Days going on until September 7th. Happy Shopping !